Teachers are our second parents in our school. They are there to help us learn and to make us wiser to face life challenges. Although our school has plenty of good teachers, there are some teachers that are willing to extend more of their quality time guiding our children with their educational performance both academic and non-academic. Shaping and molding us to recognize our talents and skills. To some teachers, it is just their duty that pays the bills. But for some others, it is their LIFE. October 5 is the day we can give back our thanks and love to all our teachers who are there to STAND with us. 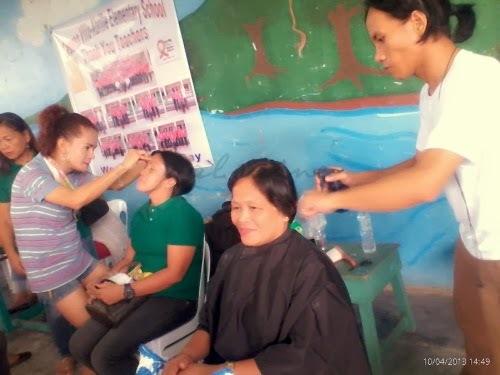 And one way of giving back our love with our teachers is to give them time for a great pampering for themselves. Seeing their faces full of relaxation is perhaps one of the most important skills they will utilize to gain back their strength from a stressful day they have for all of their lives. A little pampering indeed can go a long way. Recognizing them as one of our greatest heroes of all times. been thankful to all the teachers that I had in school. Happy Teachers' Day to all mestras and maestros. 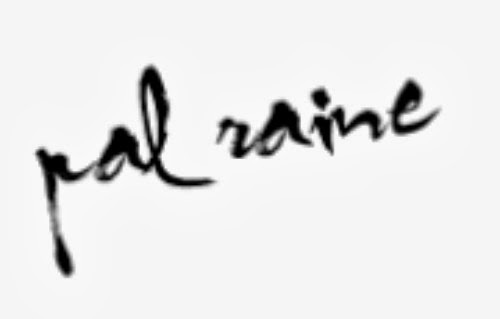 Kasama ako roon. And What a great treat yan. 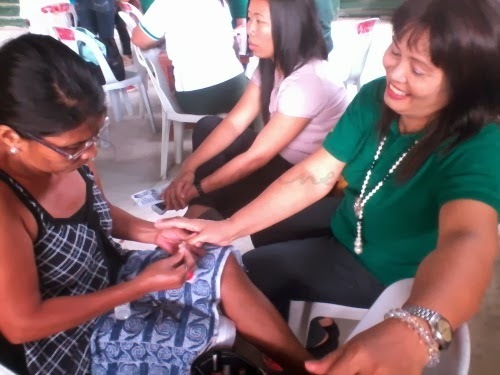 May Manicure na may massage pa.
What a great treat for all the hardworking teachers. Happy Teachers' Day! whenever i see teachers im reminded of how lucky we are to have people like them that serve with generosity esp with regard to their time. Teachers deserve such a sweet treat. Hope the teachers are treated special by politicians even it's not election period. 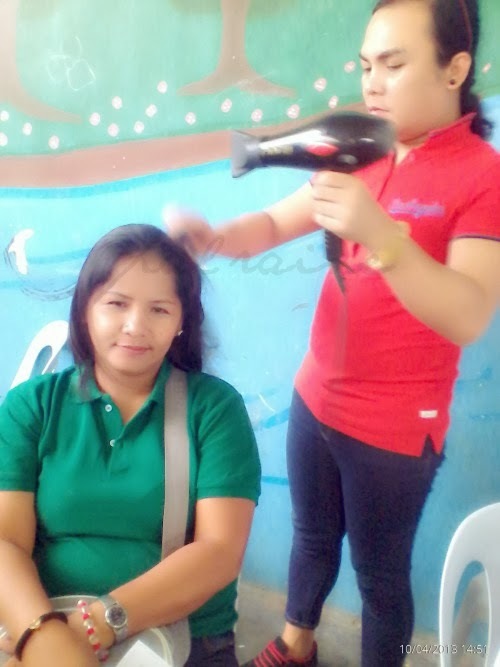 Teachers deserve this kind of pampering even once in a while. Being the second parents of our children, they should be treated with respect, care and love. 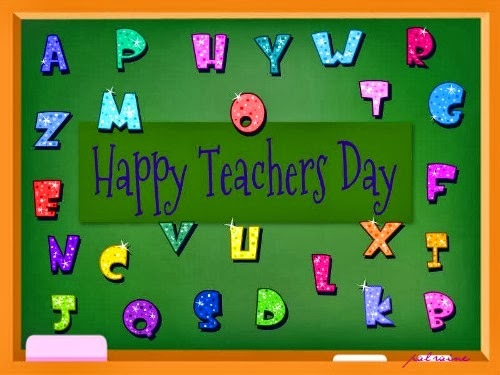 Happy Teachers Day to all the teachers. They really help mold the world and make an influence. Happy teachers day. Hope you all have a good one. 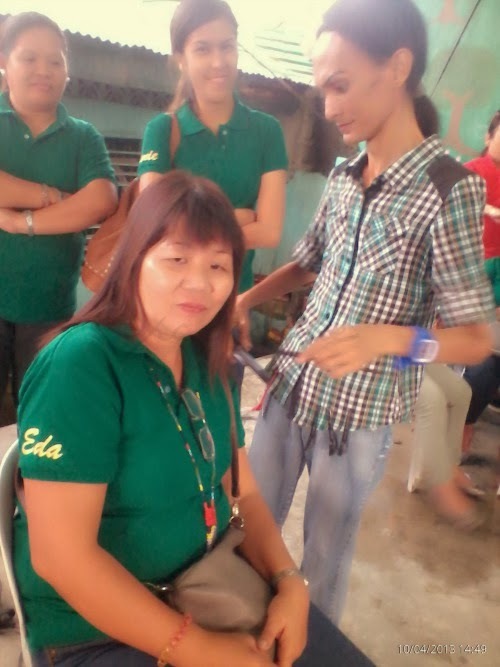 Teachers' Day is indeed an opportunity for the teachers to be given the honor and the recognition for their job well. They are the unsung heroes. 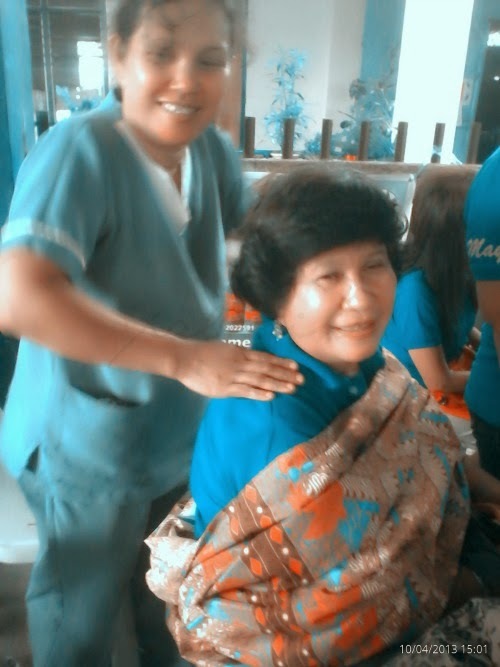 Now that I think about it, I should have treated my Mom to a massage on the teachers day. I always look back and remember everything that my teachers taught me especially those who were the reason of my passion in writing and values as an individual. And i will always be grateful.